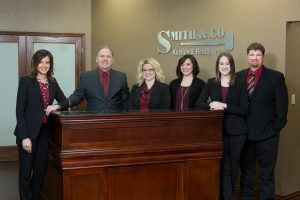 Established in 1987, Smith & Company has been serving Northwest Oklahoma and surrounding areas for over 30 years and we are still going strong! Smith and Company Marketing Professionals, L.L.C. is a member of the Northwest Oklahoma Association of Realtors, the Oklahoma Board of Realtors, and the National Board of Realtors. Thank you for visiting our site. Please bookmark and visit us often for updates on new real estate listings. We look forward to hearing from you!